Are you looking for land for sale in West Berkshire or even a renovation or conversion opportunity? Plotfinder.net holds a database of building plots in England, Northern Ireland, Scotland and Wales. Above you'll find links to the latest properties for sale in the West Berkshire area. 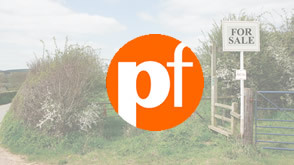 You may also be interested in looking for land for sale in the counties surrounding West Berkshire such as; Wiltshire, Hampshire, Reading or Oxfordshire. Use the search box above to refine or change your search criteria. Property listed includes; building plots, renovation and conversion opportunities, lots sold by auction and property for sale by private sellers. A Derelict Barn Converted: John and Helen Parsons dreamt of building an oak frame home and spent 14 months looking for the ideal plot. Yet in the end they chose one of the first sites they stumbled across, a semi-derelict listed barn on a farm in the Berkshire countryside.